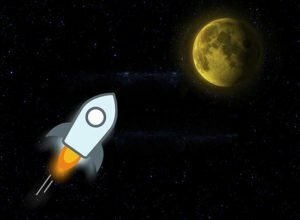 Stellar and Ripple co-founder Jed McCaleb has been making the media rounds lately, and he's sharing more than just his vision for cryptocurrencies and remittance payments. Last week, McCaleb told CNBC he wouldn't be surprised in the next 10 years if "all equity isn't tokenized on some blockchain somewhere." That means, in the future, you could trade stocks through blockchain technology. In Bitcoin news, prices fell below $8,200 on Monday as capital flowed back into the stock market. Investors are also weighing the implications of possible crypto regulations. Today, France's finance minister announced plans to create a new regulatory framework around initial coin offerings (ICOs). France aims to be one of the top launching points for new cryptocurrencies, and it wants the central bank's input on a framework. In South Korea, crypto exchange Upbit has launched the nation's first cryptocurrency index. The goal of the index is to help investors better understand market trends and overall sentiment. On Monday morning, the market capitalization of the global cryptocurrency sector fell to $310.12 billion. Bitcoin comprised 44.4% of the total cryptocurrency market, with a market cap of $137.78 billion. The top performer in the space was Ontology, which gained 13.29% over the last 24 hours. Other top performers from the top 50 cryptocurrencies included DigixDAO (up 3.52%), Bytom (up 2.00%), RChain (up 1.36%), and Tether (up 0.32%). The worst performers from the top 50 cryptocurrencies included Veritaseum (down -15.96%), TRON (down -13.03%), Binance Coin (down -12.46%), ICON (down -11.41%), Zilliqa (down -11.16%), and Verge (down -10.43%). Bitcoin bulls are happy with Twitter Inc. (NYSE: TWTR) CEO Jack Dorsey, as he said he believes Bitcoin will be the world's single currency in the future. The other major Bitcoin bull making headlines is David Drake, founder of LDJ Capital. In a recent interview with Bloomberg, Drake said that Bitcoin's underlying blockchain technology can solve a significant amount of issues in the business world and cited KodakCoin, a cryptocurrency for photography royalties, as an example. Drake predicts that the price of Bitcoin will hit $30,000 in the year ahead as more companies bring blockchain technology into their operations. The Internal Revenue Service (IRS) has issued a reminder that cryptocurrency traders must pay capital gains taxes on any positive sales they made in 2017. In a report released on Friday, the IRS said that Bitcoin and other digital currencies are taxable as property. The statement draws reference to the agency's 2014 framework that made Bitcoin a taxable asset. The agency has expanded on its tax classification to include payments made in Bitcoin and cryptocurrencies, as well.